I’m not playing! You are not listening to me!! Ellie needs some Tylenol so her can feel better. Imagineering is serious business in this house. Ellie had two Gobstoppers and went to bed early, and she’s feeling fine today! This entry was posted in crafty, Ellie, imagineering by Southern Girl. Bookmark the permalink. I love you. 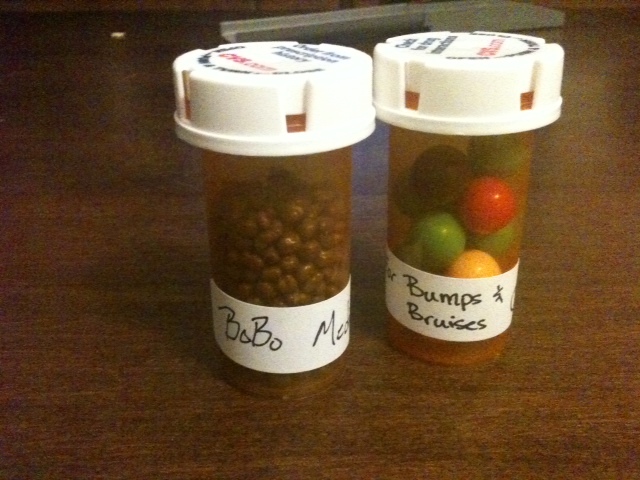 Those gobstoppers are magic, I’m so glad her feels better now.